Here’s to the trend traders out there! If y’all wanna go with the flow on EUR/AUD and CAD/JPY, here are some channel pullback setups on their 4-hour charts. 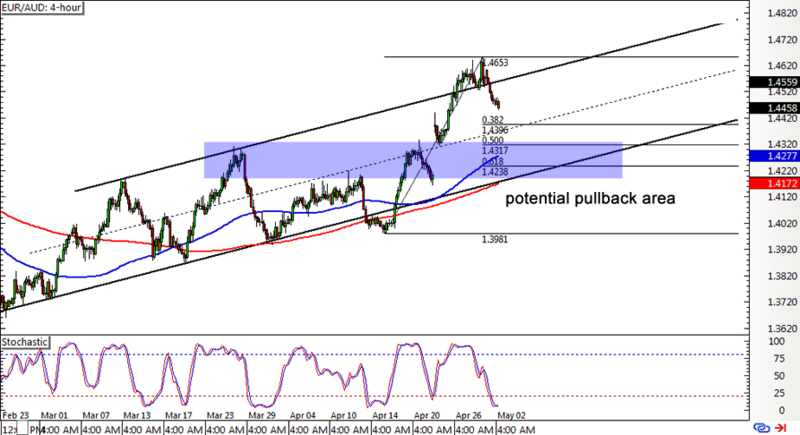 It looks like EUR/AUD buyers are taking a much-needed break from their shopping spree as the pair is finding resistance at the top of the ascending channel on its 4-hour time frame. This could put the pair in pullback mode, and applying the Fibs on the latest swing high and low reveals that the 61.8% level coincides with the channel support and the 200 SMA. Speaking of moving averages, the 100 SMA is above this longer-term SMA so the path of least resistance is to the upside. At the same time, stochastic is dipping in the oversold region, indicating that sellers might need to take it easy and let buyers take over at some point. If bulls are eager to charge, the correction could be a shallow one and the 38.2% Fib around the mid-channel area of interest might be enough to keep losses at bay. 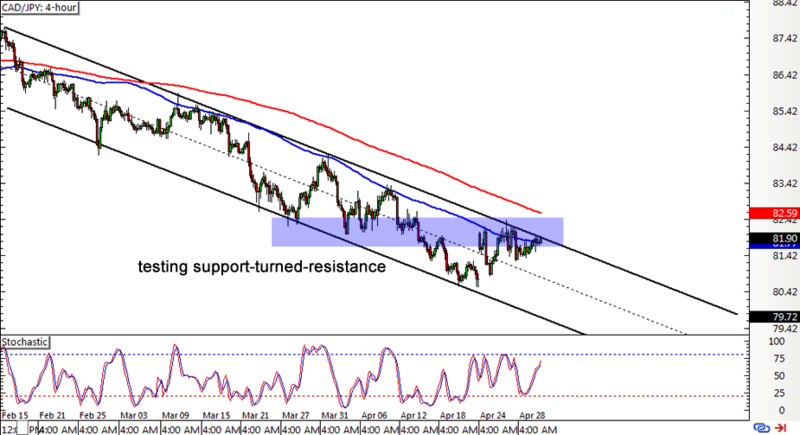 CAD/JPY looks ready to resume its downtrend, but that depends if the top of the descending channel on its 4-hour chart continues to hold as a ceiling. The pair is currently testing this area of interest, which has served as support back in March and early April. It also lines up with the 100 SMA dynamic inflection point, which is below the 200 SMA to indicate that the selloff is more likely to resume than to reverse. If Loonie bulls keep charging, price could test the 200 SMA dynamic resistance next and a break past this level could be enough to confirm that an uptrend reversal is underway. Stochastic is pointing up to show that there’s still some buying pressure left, but the oscillator is nearing the overbought area to reflect rally exhaustion.